Scanning transmission electron microscopy (STEM) (Pennycook, Nellist in Scanning Transmission Electron Microscopy, Imaging and Analysis. 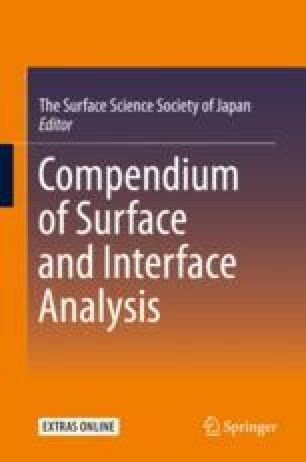 Springer, New York, 2011 ; Tanaka in Scanning Transmission Electron Microscopy of Nanomaterials. Imperial College Press, London, 2015 ) is a method of observing a small area using an incident electron probe, which is scanned on a thin specimen (Fig. 95.1). Various electron signals from the specimen, including transmitted electrons, diffracted electrons, thermal diffuse scattered electrons, and secondary electrons, are simultaneously measured as a function of the position of the incident electron probe, resulting in two-dimensional STEM images. Bright-field (BF), annular BF, and annular dark-field (ADF) imaging are normally applied. The spatial resolution of STEM images basically depends on the size of the incident probe, and atomic resolution has already been realized. STEM combined with analytical techniques, such as energy-dispersive X-ray spectroscopy (EDX) and electron energy-loss spectroscopy (EELS), allows us to perform chemical analyses with a high spatial resolution.